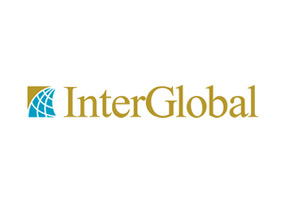 InterGlobal was established in 1998 when the Mike Henry Group and Integra Group joined forces to begin offering private medical insurance solutions that specifically cater to the travel and healthcare insurance needs of the international business community, travelers and expatriates. Customer service and the ongoing development of high quality health insurance products are at the heart of InterGlobal’s vision for the future. The provider now counts a client network that extends to over 150 countries and it has recently opened two new offices in addition to the eight it currently operates in various locations worldwide. I’ve been living and working in Thailand for a number of years and having recently got married, I decided to upgrade my local health insurance plan with something more comprehensive. Thailand health insurance gave me a ton of information and I was really pleased to see how InterGlobal’s expat plans could accommodate both my wife and I. Our plan is also flexible enough to easily allow us add children in the future, something we are both happy about. Many thanks to the support team at Thailand health insurance for introducing us to InterGlobal. Additional information on InterGlobal and general Thailand health insurance related issues can be sent to you once you have submitted your details in the form section at the top of this page. Our support staff can also assist you and they can be contacted here.